Buying a home is not only a big decision, but an expensive one. To make sure you are investing your money in the right place, one of the first things you should do when buying property – even before you finalise the offer – is a thorough and professional pest inspection. 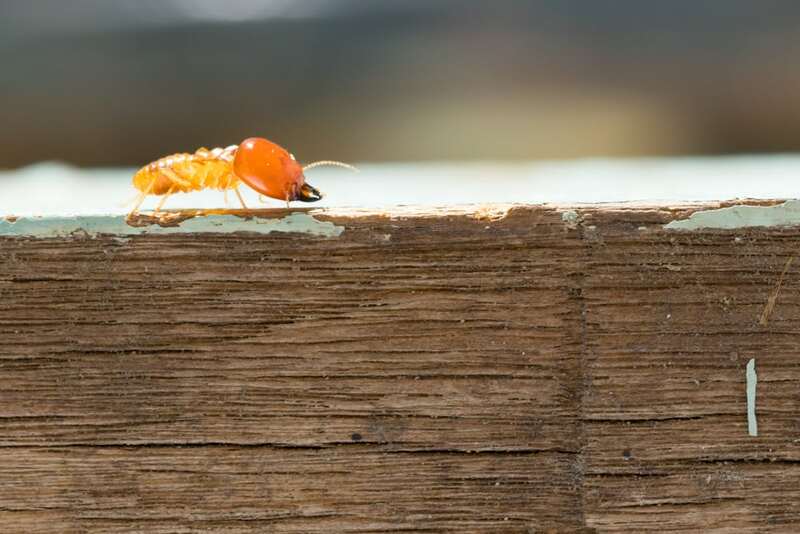 This is especially important if you are about to buy an older property where termites may have damaged the structure, making it unstable and unsafe. A pest inspection can save you from having to spend thousands of dollars trying to repair termite damage in the future. A pest inspection is a thorough inspection of a property’s interiors and exteriors, as well as all accessible under-floor and roof cavity areas. Your expert inspector will investigate the property to check for any wood-destroying insects such as termites and borers. The inspection will also reveal any existing damage that may have been caused by pests, as well as potential future damage they may cause. If the investigation does reveal a pest problem, the report will also make expert recommendations on the treatment needed, depending on how serious the issue is. A thorough, professional pest inspection can reveal a lot of things about an old property in terms of its structural soundness and extent of damage caused by pests, as well as the amount of money you will really have to invest into the property. Being aware of the whole picture may also help you negotiate a better price for the property. Even if a property looks perfect from the outside, there is often more than meets the eye. A pest inspection will make you aware of any unseen flaws that may exist in the property. If termites and pests have been a problem in the past, and have caused structural damage, a thorough investigation will reveal this, as well as how serious the damage is, the extent of repairs needed, and how much the repairs will cost. A thorough pest inspection will help you determine the real value of a property and whether this is in fact a worthy investment. Being aware of the real value of the property and any unseen flaws can help you decide whether the property is truly worth buying, or whether you should look at other properties. If the property does have a pest problem or structural issues, you can use this knowledge to negotiate a lower price with the seller. If you are thinking of investing in an older home, make sure to first qualify your investment with a thorough pre-purchase pest inspection. At AGJ Pest Management, we are fully licensed to conduct Pre-Purchase Inspections, complete with a detailed computer-generated report. Our professional inspectors will properly investigate the property, point out any structural and pest-related issues, give you their honest opinion on the extent of damage, whether it can be repaired and how much the repairs will cost. We also provide pest control services should there be any present. Let us help you make sound real estate investment decisions. Call 0421 533 002 today to book your pre-purchase pest inspection, or enquire online.